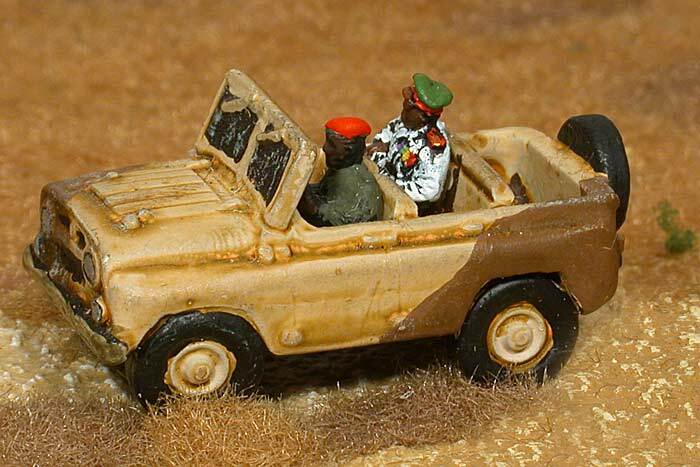 Peter Pig Gaz 469 Jeep (17-50). driver (17-46) & MG gunner (17-67). 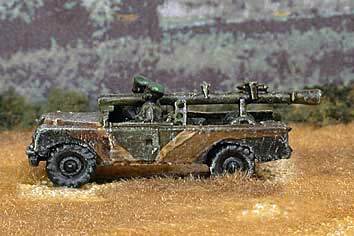 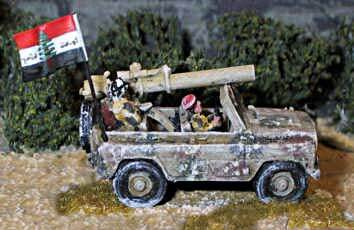 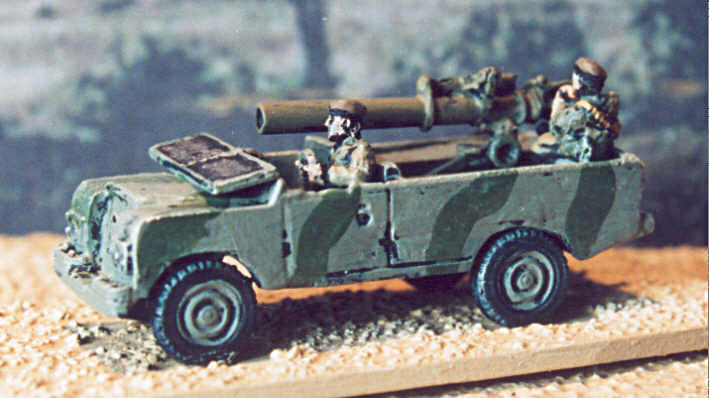 Peter Pig Landrover (17-39) with added 75mm recoilless rifle from pack (17-68) driver (17-46) and seated figure in beret (17-40). 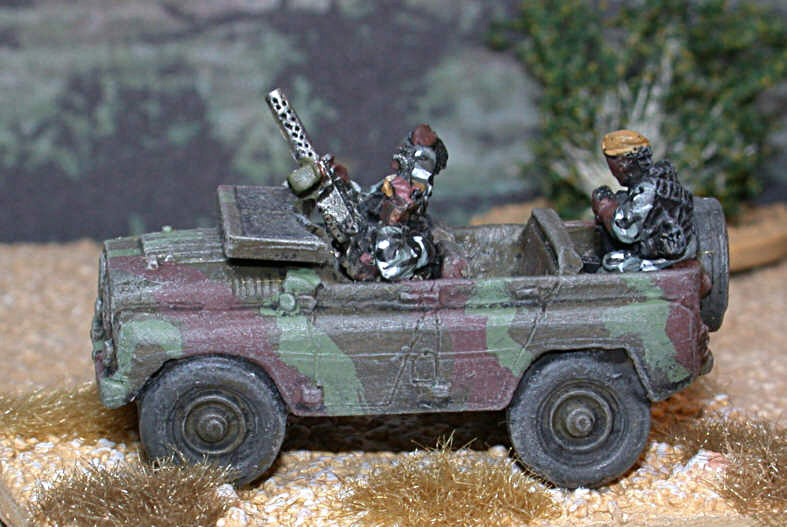 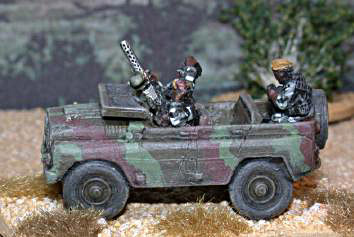 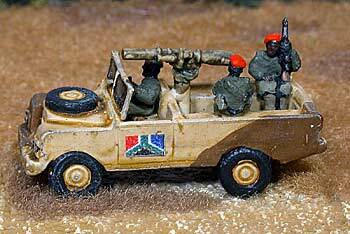 QRF Long Wheelbase Landrover with Wombat and Crew (PBA 4). Gaz 469 Jeep (17-50) with recoiless rifle (17-20). 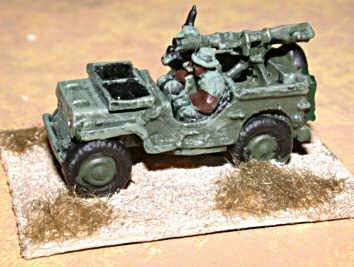 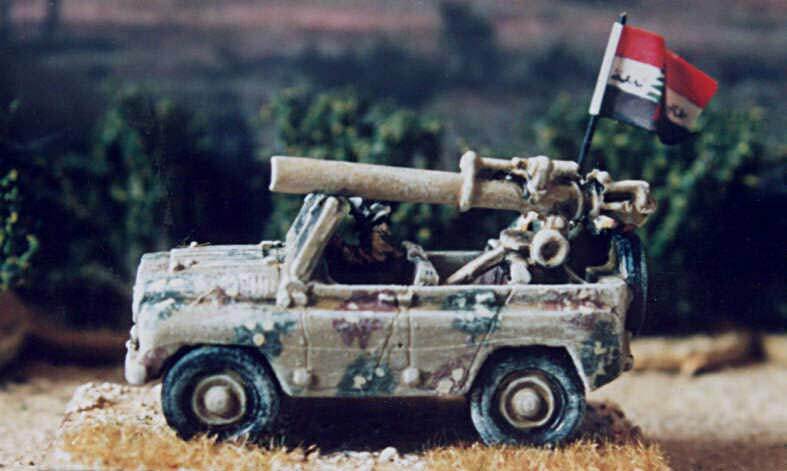 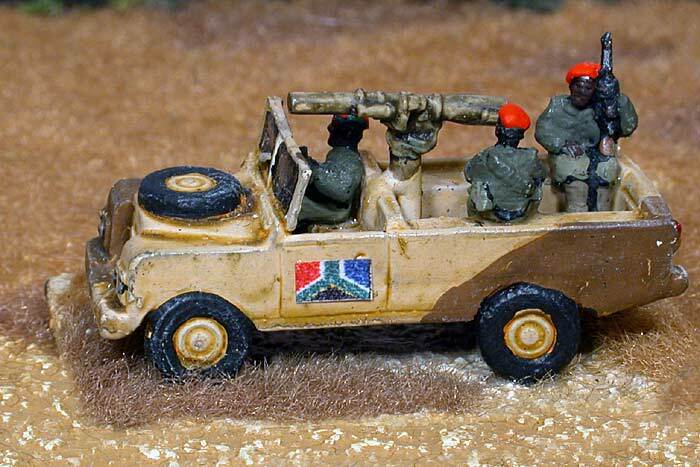 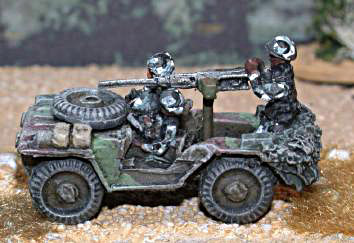 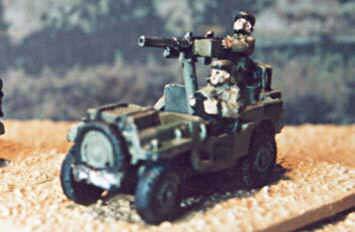 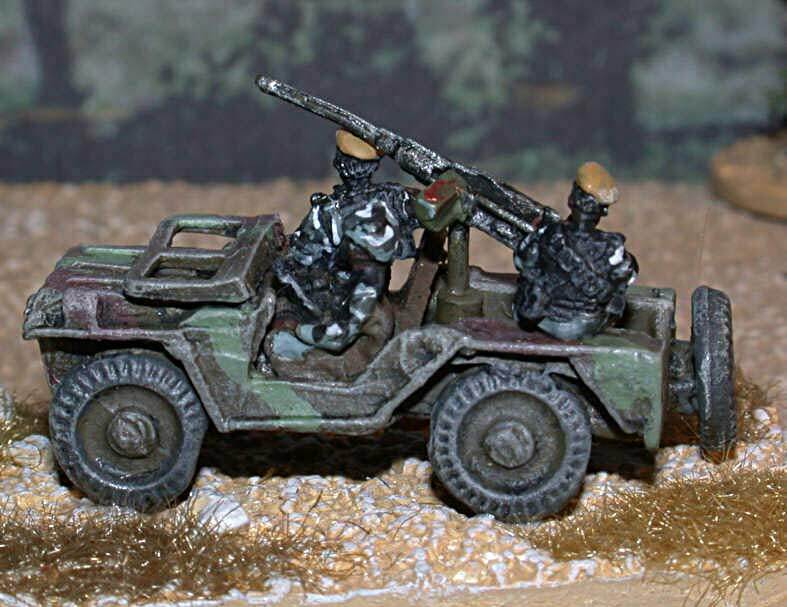 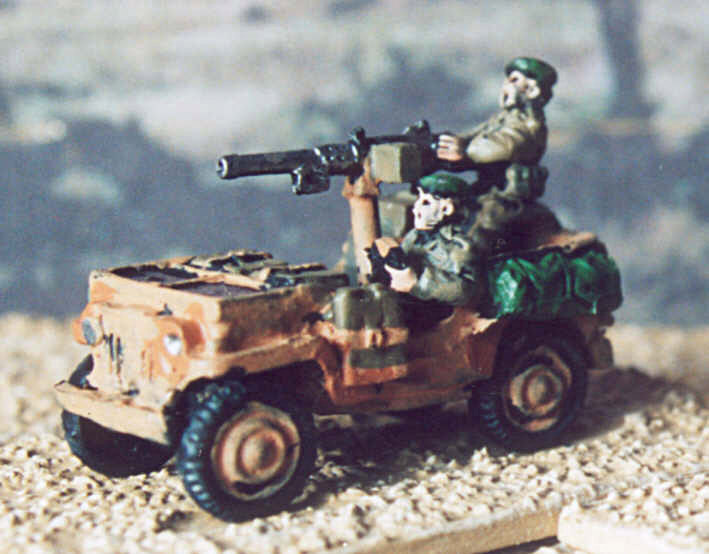 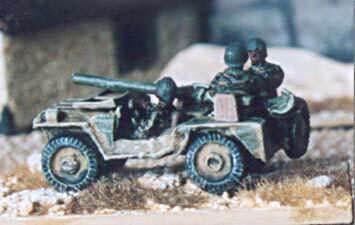 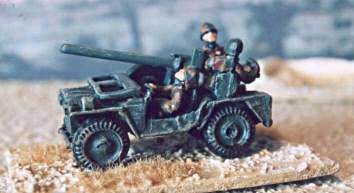 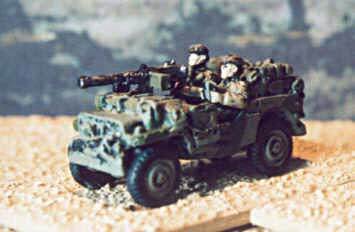 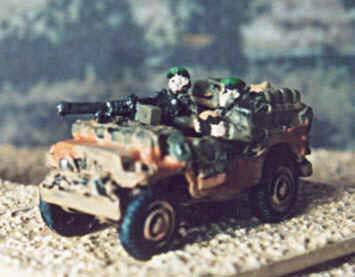 PP Jeep with recoilless rifle (17-68).